Conducting a successful bloodmobile drive requires commitment, a bit of planning and attention to a few key points. Your investment of time, effort, and caring provides a HUGE reward in fulfilling our community’s blood needs. Make a commitment: to the Community Blood Bank and ensure the commitment is completed. Management support is vital: Requesting the company leaders to communicate their commitment by donating blood sends a message of encouragement and support to all employees. An effective publicity coordinator: is vital to a successful blood drive event. The bloodmobile is not just another task someone gets stuck with overseeing. This is a life-saving mission and patients are counting on you and your organization. Provide recognition: for current and new donors by posting their names on your company newsletter, sending them an e-thank you, provide the appreciation letter from Community Blood Bank on a company board or email it around to all staff, volunteers, etc. 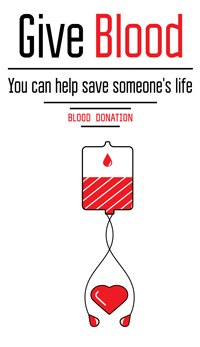 Support the Community Blood Bank: by encouraging donating on a regular basis and allowing staff or students to donate during the bloodmobile drive. Power of social media: continues to expand and improve last minute communication and acknowledgement of support and encouragement. Use your Facebook page, Instagram, Twitter pages, etc… to get word out and express the community’s needs for blood donors. As the publicity coordinator for your organization’s bloodmobile drive, you are participating in a critical community service program. 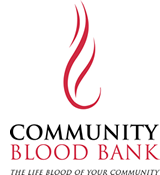 Each day, Community Blood Bank requires over 100 pints of blood to meet the needs of patients within the community. The donations we receive form your organization and other volunteers ensure our community hospitals the ability to treat trauma, surgery and cancer patients with life-saving blood.